Synopsis: The series follows five friends who mask their feelings of dread and sadness over choosing to Major in Art by falling in love with weird partners. Two of the friends love an underdeveloped artistic savant. Then the one with the glasses stokes an older widow instead of going for the totally down girl with legs for miles. Their’s also the old guy, who hangs out with all the young people because he only had one friend his own age, and she’s crazy. 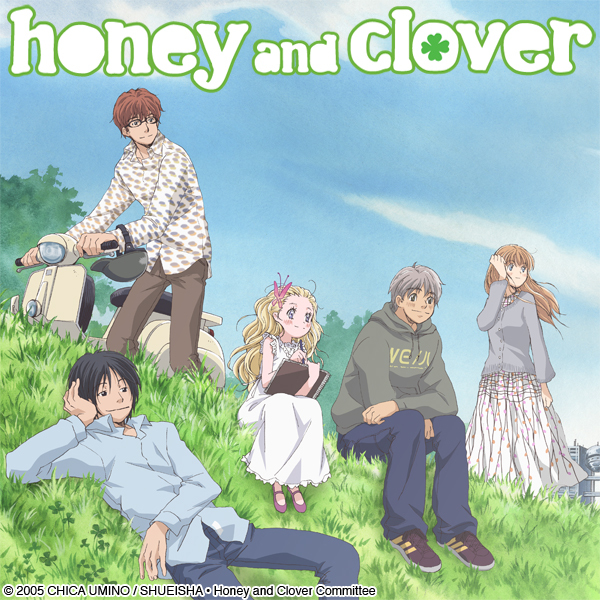 Pros: Honey and Clover is a romance anime with some funny bits here and there. Any fan of romance anime’s will love this series. It had melodramatic self reflecting. It has love triangles. It has somewhat quirky characters that all have depressing inner selves. There were also a few relationships that should have been played with more, like between Morita and his brother, the history of Rika and Shuji Sensei, and the friendship between Hagu and Yuta. I really liked what I saw in each paring, and my desire to see more between them speak to the quality of the show. There are some genuinely romantic moments, and well as some genuinely funny ones. I would go so far as to say that if the ration of melodramatic to funny was tweaked more to the comedic side, this would have been a pretty fun anime. The animation also reminded me of From Me to You, which is never a bad thing. Cons: Everything I listed above could be considered a negative anyone who doesn’t like romantic anime. Melodrama I can somewhat stand, but the sheer amount of self-reflecting. Sheesh! There are two main love triangles. The one between Hagu, Morita, and Yuta (later to be replace by Shuji) was actually pretty good. The one between Takumi, Yamada, and Rika, however, was not. Despite beings a secondary triangle, the damn thing seem to take up 70% of the story. I just did not care about Takumi’s quest to bag a pretty widow. He just came off as too self-centered, and made Yamada look like a pathetic loser. In fact, I just did not care for Takumi period. His side story with the architectural firm bored me to tears. 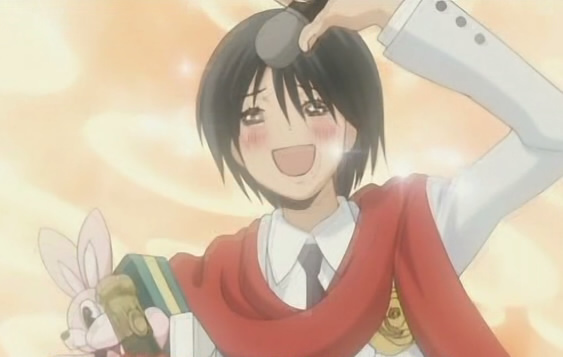 I wish Yamada had just had her own side story, sans Takumi. The opening intros also sucked (life action and animation do not mix). Maybe he has the clover?